Turkey’s President, Recep Tayyip Erdoğan, has pulled out all the stops campaigning for this month’s elections to promise voters 24-hour public coffee houses with free cake and drinks, to be filled with books for the patrons both young and old. Erdoğan’s statement came during a rally in the southern Turkish province of Hatay, where he was addressing crowds before the Jun. 24 presidential and parliamentary elections. The president went on to state that the coffee houses would be open to the public 24 hours a day. 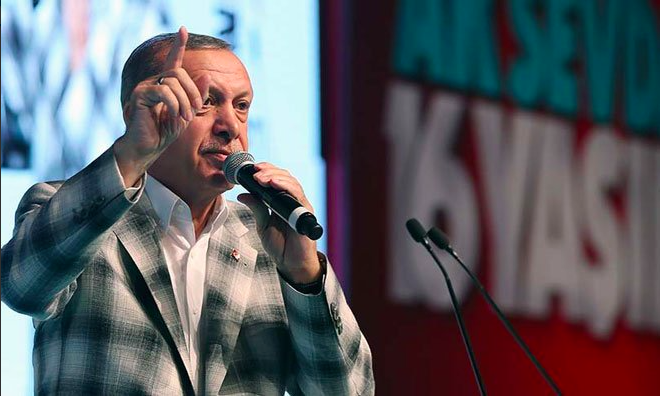 With opposition parties putting in an unexpectedly spirited performance in the run-up to elections, Erdoğan may be feeling the pressure to drum up enthusiasm for his campaign, which has likely suffered due to recent negative signs from the economy. Among his other vows during this campaign, Erdoğan has promised to build a huge park on the area currently occupied by Istanbul’s Atatürk Airport and to construct a canal around Istanbul connecting the Black Sea to the Marmara Sea. Cumhurbaşkanı Erdoğan, millet bahçelerinin ardından 'Millet Kıraathanesi' açacaklarını belirtti.